Cattie Adhesives recommends that all hot melt systems be cleaned and purged every 3 – 6 months, Or whenever switching from one type of hot melt to another. Increase Machine Life – Regular cleaning extends the life of equipment by reducing slow pump stroke, nozzle clogs and premature hose failures. Minimize Down Time – Helps avoid contamination that results in plugged nozzles and charring pots. Maximize Efficiency – Over time normal wear and tear creates reduced efficiencies such as restricted hot melt flow and inaccurate bead placement. Save Time – Preventative maintenance with a Hot Melt System Cleaner takes less time and money than emergency troubleshooting and repairs. Produce Long-Term Savings – Reduces maintenance and unscheduled production shutdowns. 9008 – Hot Melt Tank Purge in Liquid form, it is ready to use, with a 600°F Flash Point. It thoroughly cleans your hot melt system of char and contaminants, prevents clogged nozzles, and stops premature equipment failure. It is recommended for use to purge all standard hot melt products including: EVA, Polyolefin, Metallocene, APAO, Acrylic and Rubber-based Pressure Sensitive Hot Melts. 9008 is available in 1, 5 and 55 Gallon containers. 9007 – Hot Melt Tank Purge, in Hot Melt Pillow Form that melts just like a hot melt in your tank. It thoroughly cleans your hot melt system of char and contaminants, prevents clogged nozzles, and stops premature equipment failure. 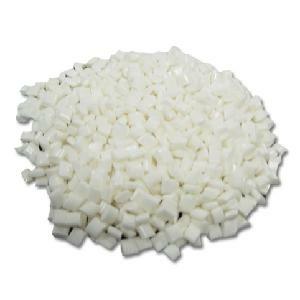 It is recommended for use to purge all standard hot melt products including: EVA, Polyolefin, Metallocene, APAO, Acrylic and Rubber-based Pressure Sensitive Hot Melts. 9007 is available in 35 lb. boxes. 9006 – Hot Melt Tank System Cleaner that comes in a Flake Form and becomes a liquid when it is heated. It is ready to use, with a 600°F Flash Point. It is recommended for use to clean and purge the Most Difficult clean up tasks requiring higher temperature cleaning including PUR and Polyamide hot melt systems. 9006 is available in 50 lb. boxes. # 9008 – 9007 – 9006 – Hot Melt System Cleaners are good for Both Circulating and Non-Circulating Hot Melt Systems and are widely used for cleaning and maintenance of hot melt equipment in the product assembly, packaging, converting and graphic arts industries. Our Hot Melt System Cleaners are designed to heat up to normal application temperature to work most effectively. Mix liquid purge product well before using. Drain hot melt system of all existing hot melt adhesive. Add Hot Melt Purge to hot melt tank and heat to a temperature of 350°F and 375°F. Turn pump on and circulate hot melt purge for one hour or more if significant char has built up. Drain system completely and discard used material; add new hot melt adhesive and drain out the first few pounds of new adhesive. Newer hot melt technologies like low temperature EVA’s and Metallocene are formulated to run cleaner than previous hot melt formulations; this can lead us to think hot melt tank cleaning is no longer necessary. This is not true, as most hot melt tank and hose char is caused by foreign materials introduced to the hot melt tank or simply dust, dirt and products in the plant environment. Routine hot melt system cleaning/maintenance is required in order to keep hot melt equipment running at peak performance, and productivity as high as possible. Most production downtime can be avoided with hot melt system cleaning and preventative maintenance. # 8652 is our – Natural Soy-based, Bio-degradable, Organic Adhesive & Mastic Surface Cleaner/Remover. # 8652 is formulated to be applied at room temperature. # 8652 is Powerful and will quickly and easily remove contamination of hot melt and pressure sensitive liquid adhesives from your machinery and components. # 8652 quickly penetrates & dissolves all adhesive residue, leaving machinery and surfaces free from adhesive deposits. # 8652 is widely used throughout the Packaging, Food, Bottling, Nonwoven and Printing Industries. # 8652 is made from 100% renewable raw materials, it is 100% VOC Free – Odorless – Non-Flammable and Non-Corrosive. # 8652 works well for cleaning of all types of adhesives including: water-based and waterproof adhesives, EVA, PUR, Pressure Sensitive Hot Melt Adhesives (HMPSA’s) and Mastics. # 8652 is available in – 22oz Spray bottles – 1 or 5 Gallon Pails & 55 Gallon Drums. 8652 is excellent for use as a parts soak/cleaner for clean up of all types of adhesives. Its all-natural soy based formula provides a non-toxic, biodegradable and environmentally friendly solution to removing adhesives, labels, stickers, decals, grease, crayons and shoe polish. Apply a thin coat of 8652 Adhesive Cleaner and allow a few minutes to penetrate and soften the adhesive, followed by manual cleaning for adhesive removal. For heavy build-up it may take a few applications to clean off the adhesive, hot melt or mastic.